Based on today’s norms, the children in the above photographs might appear to be girls. Even early museum records reference the drawing on the right as “Portrait of Two Young Girls” and the painting on the left as “Little Girl with Dog.” Many visitors are surprised to hear, however, that two of the three children pictured above are boys. The hyper-gendering of young children’s clothing in the U.S. today is a recent phenomenon, not common before the 1940s. Previously, little boys wore dresses and long hair until the age of six or seven. White dresses, since they could be bleached clean, were the most functional clothing option for all children. 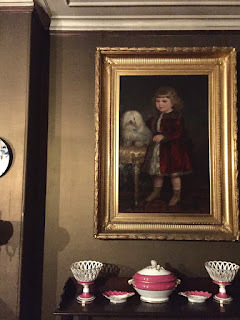 Once thought to be Marion Hammond, “Little Girl with Dog” is Marion’s brother Mason Hammond (1868–1899) and his dog Fluffy, as marked on the back of the frame (image below). Mason was Rosamond Warren Gibson’s nephew, the son of her sister Mary and Mary’s husband Samuel Hammond. (Samuel Hammond was also Catherine Hammond Gibson’s nephew.) 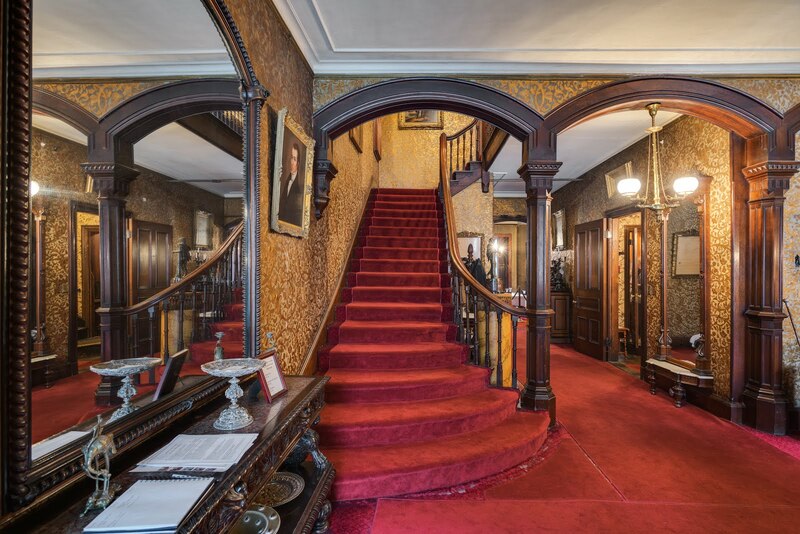 This portrait from the 1870s hangs next to the fireplace, watching over guests in the dining room. The second portrait hangs in the library along with similar renderings of other members of the Gibson family. 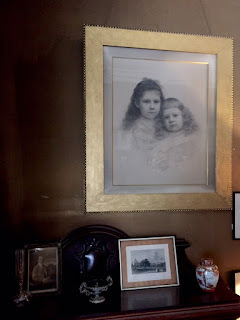 The charcoal image does not depict Rosamond and Charles Gibson’s two daughters as previously believed, but rather young Mary Ethel (the eldest daughter) on the left and Charles Jr. (the museum’s founder) on the right. Recent research tells us that the concept of gender only begins to emerge in the minds of children around age three or four and is not more fully grasped until six or seven. Coincidentally or not, this is about the same time little boys would switch to wearing pants in the nineteenth century. Gender-neutral clothing is making a strong comeback as gender norms and assumptions are being called into question. Perhaps we are cycling back to an age where the gender of many young children once again becomes indistinguishable by their appearance. Maglaty, Jeanne. "When Did Girls Start Wearing Pink?" Smithsonian.com, April 07, 2011. Accessed May 12, 2017. http://www.smithsonianmag.com/arts-culture/when-did-girls-start-wearing-pink-1370097/. Paoletti, Jo B. "Dresses are for Girls and Boys." In Pink and Blue: Telling the Boys from the Girls in America, 19–41. Indiana University Press, 2012.